The New Afrika Shrine was first started in the early 1970s by Fela Anikulapo-Kuti but was burnt down. The new replacement is now run by his son Femi and daughter Yeni Anikulapo-Kuti. Aside the live music, the shrine also provides other services. You can eat here, take out and delivery. It is a cool spot for groups and friends to chill out. 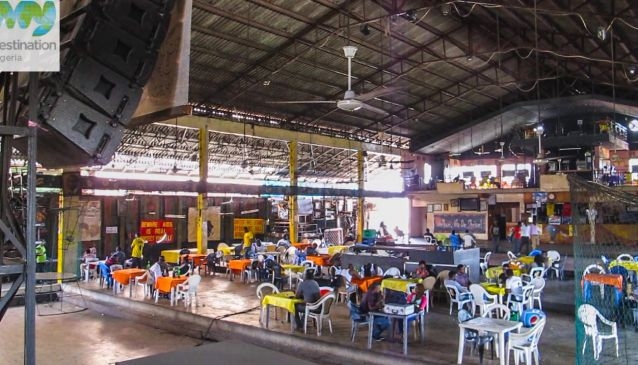 If you looking for a cool spot to chill during the weekend in Ikeja, Lagos, The New Afrika Shrine is the place to be. It's a huge shed, great music that can blow roof off. They give their client a nice treat as they wait your tables and welcome you at the gate. You can contact them for outdoor catering as they cater for any type of event. The Every first Saturday at the shrine is the fuji show. Femi and Seun Anikulapo-Kuti usually perform at the shrine whenever they are in town. The Shrine has different quotes of Late Fela Anikulapo-Kuti on it walls. It gives you an insights of the thoughts of the late afrobeat legend. Also available is a food court. You can get shawarma, small chops and asun. The New Afrika Shrine, is the living legacy of late Fela Anikulapo-Kuti. Yearly, the shrine host the felaberation festival. You can get late fela's t-shirt there.